Suffering produces character and character produces hope and hope does not disappoint us. Ive learned how to be open and bold about my faith, but in terms of my influence, I just try to lead in a godly way. What that means for me is to serve them, whether its just doing the dirty work, like cleaning up sweat on the floor, or deferring to other people, or carrying equipment bags. In basketball these days, the rookies and freshmen are supposed to do the grunt work, and seniors relax and hang out, but when you reverse that, or when seniors help out with some of that, it shows that youre trying to serve them, and thats a good way to lead. The way you talk to your teammates and push them and the way you treat them is important. There is a fine line between trying to help your teammates and criticizing them. The toughest part for me is how to keep my teammates accountable but at the same time do it in a loving way that doesnt judge or condemn them. Its definitely been a struggle and Im trying to learn how to lead consciously in a way that honors God. Every day in practice I have to lead by example. But at the same time, when people arent doing what theyre supposed to be doing, youre responsible as a player. You cant rely on the coaches to say everything. The players have to be responsible and take ownership of the team. Every day in practice there are situations where you need to say something and get a message across, but do it in the right way. I need to be in the Word daily. I read and pray in the morning and at night. It helps me get off to a good start in the morning and at night I look back at what happened during the day. Its really important to me to go to church, which is sometimes tough when I get back from road trips late on Saturday night, but I try to make it a priority to go every week. If you dont have appropriate boundaries, youll compromise your faith. I struggled spiritually for a while and I didnt have many Christian friends. It wasnt until I got plugged in to a small group my sophomore year that things really started to change. I began to build a Christian community, learn more about Jesus in the Bible studies and develop relationships that helped me with accountability. Over the years Ive learned that just because you follow God, it doesnt mean you win every game or get what you want athletically. There is a godly way to play basketball and thats what youre responsible for doing. If you happen to get a championship, great, but if not, there is a lesson to be learned. All these people, all these things came into my life, and theyre all blessings from God. And now that I look back, I realize that these are His fingerprints all over my story. New Updates! (4/22/2019) We've been working really hard on completing our membership system so you can submit quotes and keep track of them. Once this is complete in the coming weeks there will be a lot more quotes by Jeremy Lin and other authors. We've also changed the sorting on the site so you now see the latest Jeremy Lin quotes first. 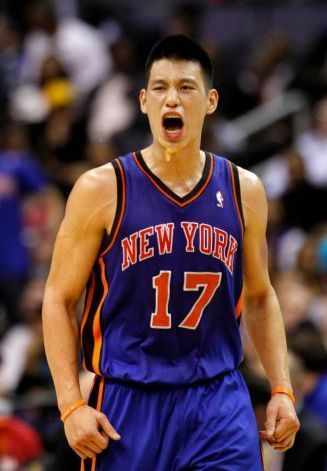 Our goal is to have the best Jeremy Lin quotes on the web!